The semantic web community is supported by an interdisciplinary research field in which academy and industry share their vision of the web of data and join the forces to make it mainstream. 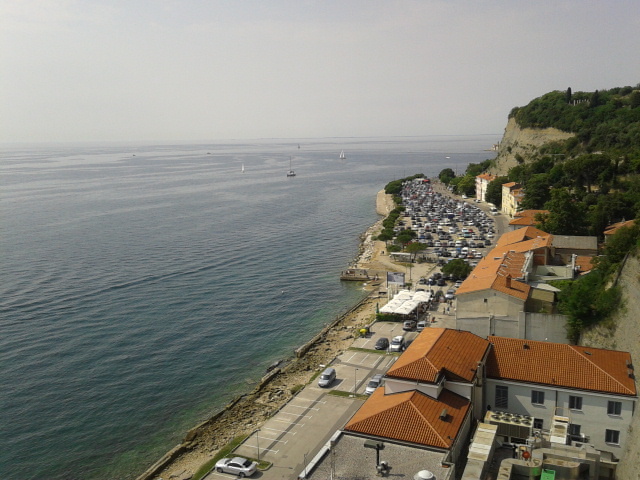 ESWC is a prominent conference on the topic and the 12th edition took place this year in Portoroz, Slovenia. I presented WordLift at the developers’ workshop held during the first day of ESWC2015. WordLift is a WordPress plugin which aims to enhance web publishing with semantic capabilities, allowing non technical people (e.g. a blogger or a journalist) to integrate linked data in their ordinary workflow. Designed and developed by InsideOut10, WordLift is a software module being used in the validation of MICO. MICO provides cross-media analysis tools for online multimedia producers. WordLift will include MICO algorithmic efforts to offer semantic publishing capabilities (analysis, querying and recommendation) for images, text and videos. This will help reducing the time spent by online editors for bolstering their media contents by creating a context, detecting quality issues for online videos and supporting the interlinking between different media assets whether in textual or visual form. This technology stack described above will be validated in a real-world scenario in collaboration with Greenpeace Italy starting this coming September. The online magazine dedicated to Greenpeace’s Italian supporters will feature the newest WordLift version (3.0) and MICO to restructure and repurpose contents using semantic capabilities and cross-media analysis. This concretely will help the organisation to sustain its business model, retaining its followers and stimulating their environmental sensibility. Here follows the slides presented at ESWC and a summary of the questions I received right after the talk from web experts attending the presentation. – I think you are doing something really important, since every scientist is on the way to self-publish his research. Can you add researcher-friendly features? WordLift offers many possibilities to enrich and organise a researcher’s blog in a meaningful way. A researcher can create entities and relate them one with the other; he/she can visualize entity-related data via graphical widgets and make them browsable for the end-user. – Can you recommend content from around the web? WordLift already suggests concepts related to the post being edited, in the form of semantic entities with their description and properties, included thumbnails. This is done using the Redlink Semantic platform which is focused on textual analysis. With MICO the plugin will be able to do the same starting from images and videos. – Is the user-created vocabulary stored in the blog? For ‘vocabulary‘ we intend the set of entities mentioned in the blog post, organised in categories such as Persons, Organizations, Places, Events (following schema.org definitions). WordLift stores the vocabulary both locally and in the cloud (via Redlink). The cloud exposes a SPARQL end-point as we’ve seen in the past that running a triple store on every website was far too inefficient . In semantic web technologies the gap between state-of-the-art and real-world applications remains an issue. There is still a noticeable distance between W3C specifications and concrete implementations that common users can benefit from. We’ve seen at ESWC 2015 that this gap is shrinking and WordLift, Redlink and MICO can play a constructive role in supporting content producers reaching their audience using these technologies.